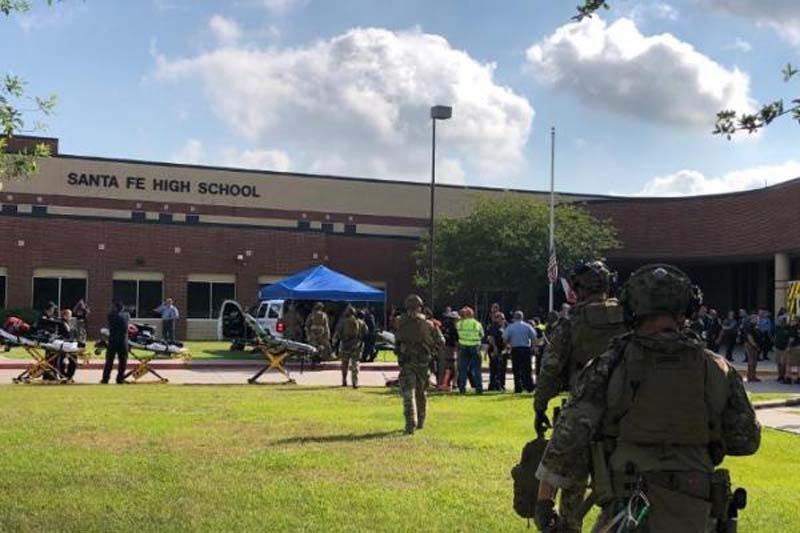 At an afternoon news conference, the governor confirmed the deaths and 10 injuries at Sante Fe High School. He described it as "the worst disaster ever to strike this community." bbott said law enforcement officials had warrants to search two residents and a vehicle belonging to the suspect, but authorities were taking their time out of fear of triggering explosive devices. He said there were more than two devices -- one he described as a "CO2 device" and a Molotov cocktail.